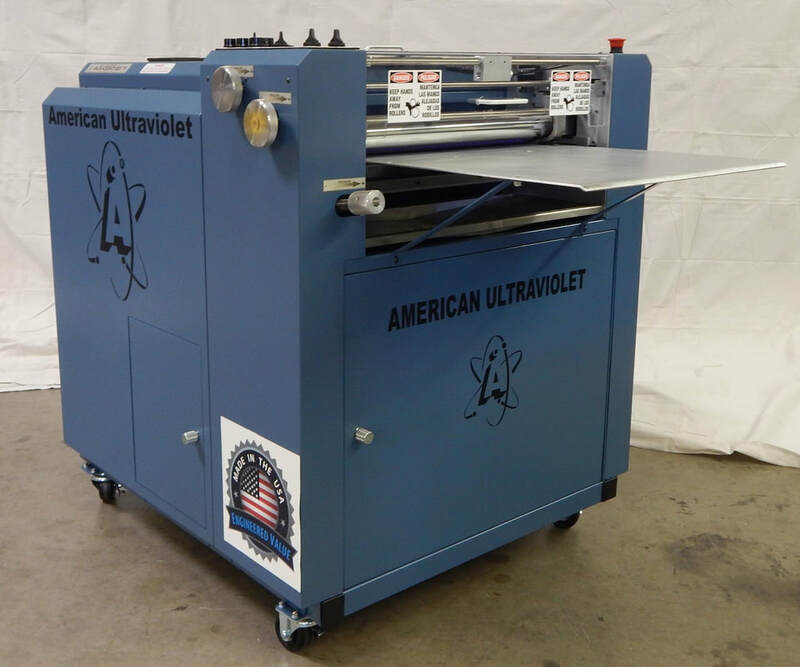 American Ultraviolet AUV-Coat Coater - Recognition Systems, INC.
​Aqueous and UV coatings on substrates from 80lb. text up to 3/8in. thick!